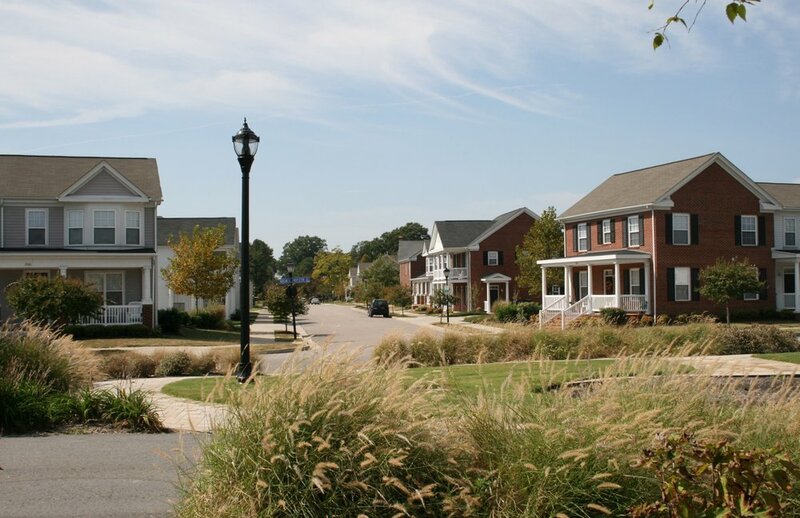 Broad Creek is an innovative public-private partnership with a mix of market rate and subsidized sale and rental homes with several linked parks and open spaces. InSites collaborated with Vanasse Hangen Brustlin, Inc. and worked extensively with Norfolk Redevelopment and Housing Authority (NRHA) staff and Commissioners, City staff, Broad Creek Task Force, the Norfolk Design Review Committee and Planning Commission at key milestones throughout the projects. 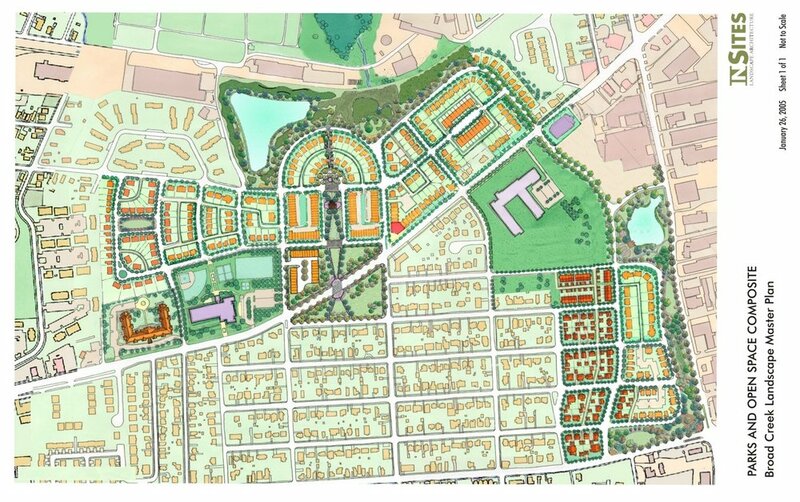 The project includes a hierarchy of streetscapes, gateways, recreational amenities as well as planned community features such as a new library, commercial center and recreation center. 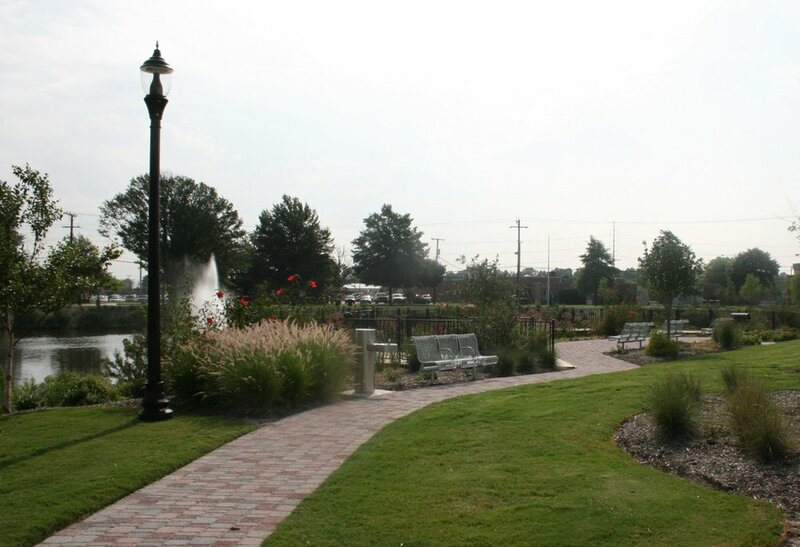 Park areas include multi-use paths, lush plantings emphasizing seasonal variety, rolling topography and open lawn areas for the more passive daily recreational pursuits of the residents. 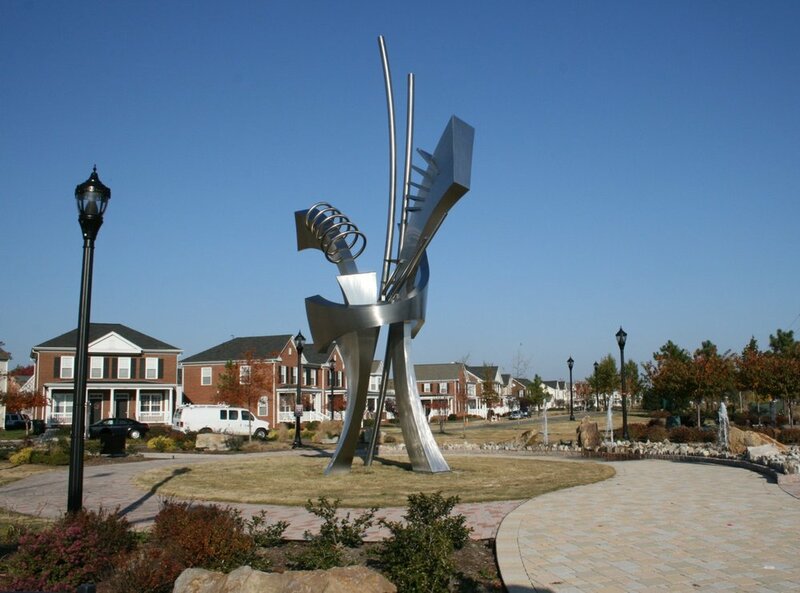 Plazas and central greens create focal points and contain community identity features and signature artwork. 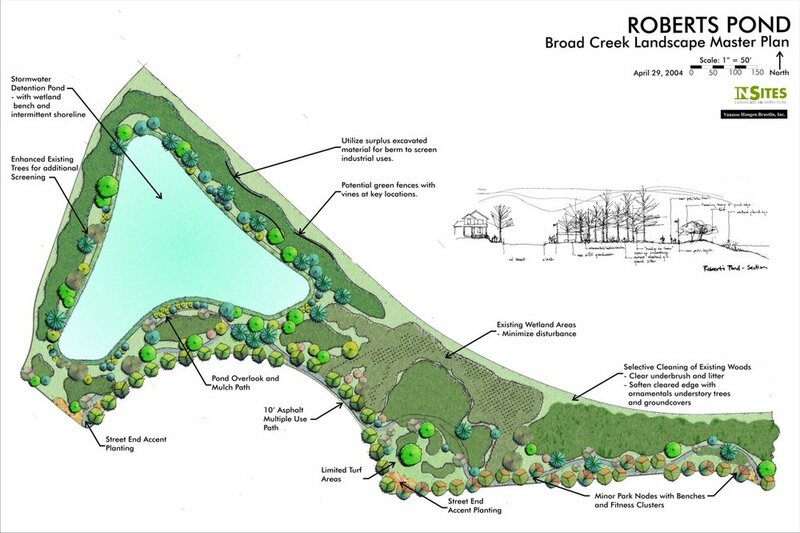 InSites received a Design Merit Award from the Virginia ASLA in April 2011 for their work at Broad Creek.